Fouhy was born in Boston on Nov. 30, 1934, and grew up in neighboring Milton. 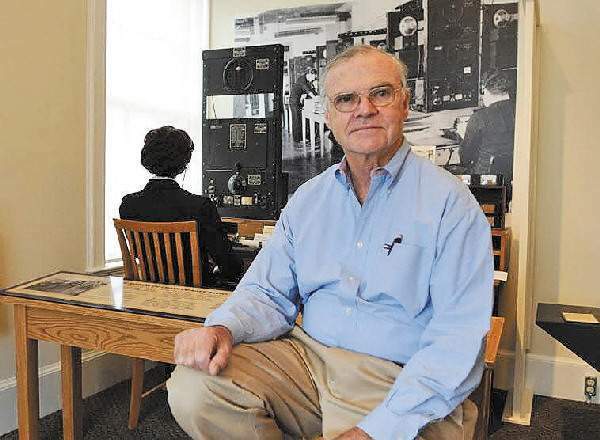 He began his journalism career as a sports stringer for the Boston Globe while a student at the University of Massachusetts, Amherst, where he graduated in 1956. He launched his broadcast career as news director for WBZ Boston while attending graduate school at Boston University’s College of Communications. Fouhy joined the CBS Morning News as a producer in 1966 and went on to serve in several top positions at the network, including West Coast bureau chief, Saigon bureau chief during the Vietnam war, and as Washington producer for the CBS Evening News with Walter Cronkite from 1969-74. There he covered the totemic news events of the Richard Nixon presidency, including Nixon’s historic 1972 visit to China, Watergate, and Nixon’s resignation. Fouhy left CBS in 1982 after serving as a top news executive at the network’s headquarters in New York. Fouhy worked for NBC News as a producer and executive from 1974-1977 and returned in 1985 to launch a news magazine show. Fouhy also served as Washington bureau chief for ABC News from 1982-85. Toward the end of his news career Fouhy focused on journalism innovation, developing projects through the Pew Charitable Trusts including the Pew Center for Civic Journalism and Stateline. I bolded that last sentence because while Ed was never my boss, he was a great mentor; as director of Stateline, he gave me office space and no small amount of advice and support as I put together the project that eventually became electionline.org. He fiercely believed in the power of good reporting and storytelling, and by the time I met him his mission was to improve access to and journalism about stories at the state level. He passed that passion along to me; in fact, when you read this blog and I write about the North Dakota voter who made an unsuccessful 200-mile road trip to vote or the desk drawer with missing votes in Mineral County, NV or the red pickup truck that became the star witness in a Spokane, WA election dispute it’s because Ed taught me that you can’t understand what’s happening across America by reading your local paper. You have to go looking in those small-town outlets or backpages of bigger publications to find out what really matters to people – and spot those trends and emerging issues that the giant papers or online portals will suddenly “discover” months from now. It was that sensibility that drove Stateline’s success – and the model my friend and co-conspirator Dan Seligson (who Ed let me steal from Stateline) and I followed as we created electionline.org. I still scour the election news every day – and I almost always find something, partly because Ed made me want to look, and know where to do so. He loved to tell stories, but he loved to hear them, too – and I’ve never forgotten that as I listen to what folks inside and out of the election administration world think about what’s important. Also, by the time I met him, Ed was accomplished enough that he didn’t need to be the star of the show; while I can’t say I started out that way, I find myself coming around to his point of view as I get further along in my own work. In other words, he was teaching me something long after I saw him every day. It’s fair to say that a lot of the things I’m proud of having done since I met him had their roots in the time I got to spend with Ed Fouhy. I’ll miss you, Ed – but I suppose I’m just one of many who can say you made my world a better place. Be the first to comment on "Ed Fouhy, 1934-2015: An Appreciation"